Last spring I had the immense pleasure of photographing the wedding of the beautiful Colette and charming Ed at the amazing Aldwick Court Farm. I first met Ed and Colette three years ago when I shot the wedding of Ed’s brother Will at Folly Farm. 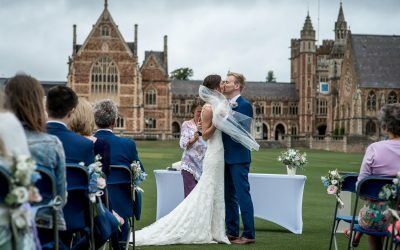 And if this continuation of family affairs wasn’t enough I also went on to shoot their sister Lydia’s wedding too which took place at amazing Clifton College. Back to Ed and Colette. 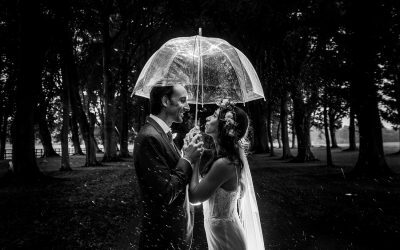 I wanted to photograph a wedding at Aldwick Court Farm for a very long time and was not disappointed! We were all blessed with amazingly warm and sunny weather considering it was only April (I believe a few people may have even ended up slightly sunburnt). Both Ed and Colette were wonderfully relaxed which is always great for me as I can just get on with my job and photograph the day as it develops while having an eye open for those little moments. Both bride and groom got ready in a small hotel off site and travelled to the Aldwick Court separately. Aldwick Court Farm is a fantastic venue as everything is in close proximity to each other: the ceremony room is adjacent to a massive room for wedding celebrations. Both rooms are extremely well lit by natural light and there is a very spacious and sunny patio right outside which was used for the drinks reception. Adjacent are a tennis court and of course the famous vineyard which no photographer ever leaves out during the portrait shoot. The leaves only just started coming out on the vines but spring was noticeably in the air. Now please enjoy the photos of what was a simple wonderful spring wedding day!